Today's Titanfall update ushers in the Private Match beta test and makes it a lot tougher for PC players to cheat. Respawn Entertainment released an extensive cross-platform update for Titanfall today, which among many other things sees the launch of the Private Matches beta test. Private Matches will support two to 12 players - one to six per side - and can be played with any of the game's maps or modes. No experience will be awarded for Private Matches during the beta, nor will Challenges progress or achievements be unlocked, and there will also be no "lobby leader," meaning that any player can change the game options or start (or stop) the match countdown timer. Other changes include the addition of party colors to the mini-map, various menu tweaks, some game balance updates and CTF scoring changes. 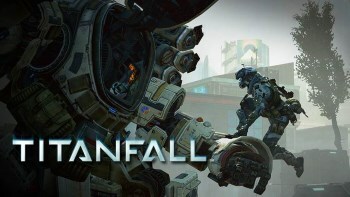 On the platform-specific side of the coin, the Xbox One edition of Titanfall will now have a shortcut on all menus that will open the "Party" app, while the security hole that allowed PC players to "wall-hack" by modifying local configuration files has been closed. Numerous other, less exciting bug fixes have also been implemented on both the Xbox One and the PC. The update announcement also touched on plans for the future, including more custom loadouts, better 120hz monitor support, enhanced Challenges interaction, new scoreboard icons and more. Full details of what's in store and what's coming next are up at at titanfall.com.